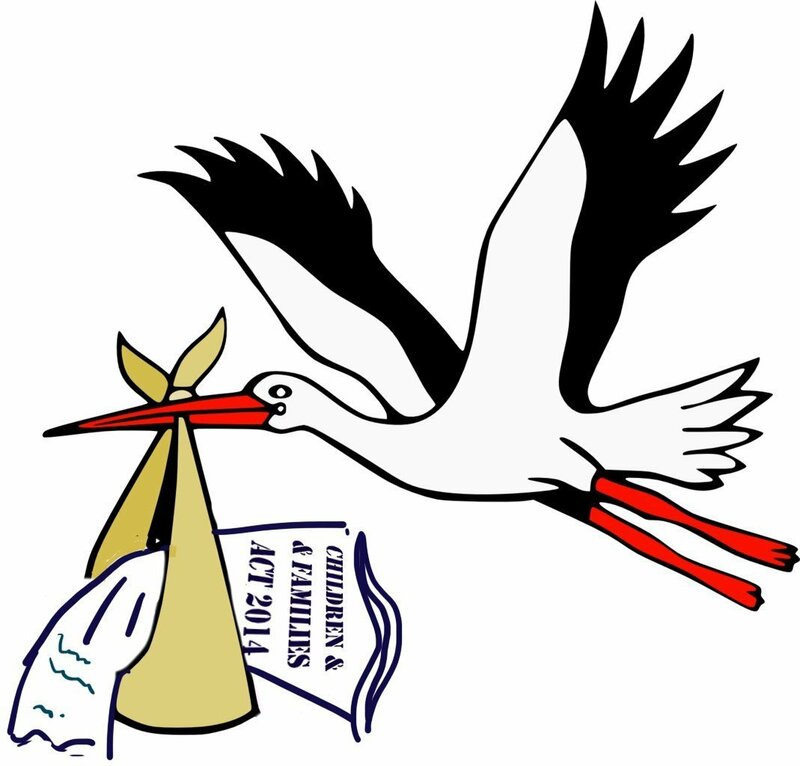 The Children and Families Act is finally here, delivered by the stork The Department for Education with high hopes and expectations. There are many fine aspects to this Act and even the SEN part with which we are concerned, is generally supported. But with the accompanying regulations and new SEN Code of Practice (a guide to how the rules should be used) not yet ready and the learning from the councils testing the proposals - the pathfinders - not complete, celebrations are quite premature. In the coming weeks we'll be explaining in more depth what it actually means for you as a parent whose child has special educational needs or a disability. We'll also be looking at it from a practitioner's and an SEN professional's point of view, because this Act will undoubtedly affect everyone involved. It is certainly true that there are many opportunities with the Children & Families Act such as bringing parents and children to the heart of the new system. It calls for parents to "co-produce" or help design services at a strategic level and also at a personal level, along with their child, to be central to designing the child's own provision. It is also supposed to herald the dawn of 'integrated working' across organisational boundaries, that is, NHS health providers working cooperatively with families, schools, colleges and social care services. It makes complete sense and no one would disagree with that; the vision is sound. But that utopia is at the top of the mountain and most people involved are all struggling to get past base camp. Time is needed to catch up but there is only six months to do it in and with the Code of Practice still to be approved (if it is) and six weeks of summer holidays in the middle, I am concerned that September will see that stork crash-landing. As things stand, SEN lawyers are pretty certain their livelihoods are not at risk, despite of the offer of mediation that has been created (but is not compulsory). There is much work to be done whether you are in a local authority that trialled the reforms ( a pathfinder) and especially if you are not. From among the pathfinders, some councils have been appointed as 'Champions' to help guide others through the learning that they have done and they have been given extra resources to help this happen. As a parent, however, if you have not been one of the few involved in a Parent Carer Forum in a trialling authority (as Debs and I were), you will have to hope your local PCF and/or local council is able to communicate the changes to you without confusing you further. Here at SNJ, we are working on our own training resources and we will also be pointing you towards organisations where you can find more. A complete turnaround in thinking and culture among SEN staff, practitioners, teachers, SENCos, health professionals and social care departments. The new Education Health and Care Plan(s) replacing the SEN Statement that each local authority adopts works equally for a baby and a 25 year old. Several versions with different designs will be needed. That an EHCP is structured so it is transferrable between councils should a family move. That joint commissioning (health, education and/or social care services working together to provide for a child's needs) is put into practice. That those who will be involved in this "working together" can do so in a cooperative and integrated manner, learn what is expected of them and are happy to accept the changes. This includes social workers, health visitors, GPs, SENCos, headteachers, SEN case officers and their superiors, etc. The Local Offer (a constantly evolving database of available services for children & young people with additional needs) can be constructed to a large enough degree in each area in time to be useful. This will entail commissioning an IT system and gathering data from every such provider within the council's area. The pathfinders have been working hard on this for almost two years and most still don't have a system up and fully running. This is, to a large extent, because of the sheer scale of the project in the larger local authorities and their great (and correct) desire to get it right. The Independent Supporters that the Council for Disabled Children have been tasked with organising can be recruited, trained and set to work by September and that there is a structure for managing, monitoring and assessing them. Sufficient training for all concerned can be provided, in time, to make all of the above happen. This list is not exhaustive. Is it do-able? I have no idea - and, frankly, neither does anyone else. The problem if the changes aren't implemented in September, is that the government are butting up against elections in May 2015 and so will not want to delay until next Easter. But a happy medium- January 2015 say- would give some breathing space. We hope to have more views on this very soon. In the coming weeks, we we'll be looking at each aspect of the new system so stay tuned - sign up top left of this page for updates. Is there any aspect of the reforms you'd like us to cover or do you have a comment about this post? Please do add it below. How well will ‘Local Offers’ reflect local people?